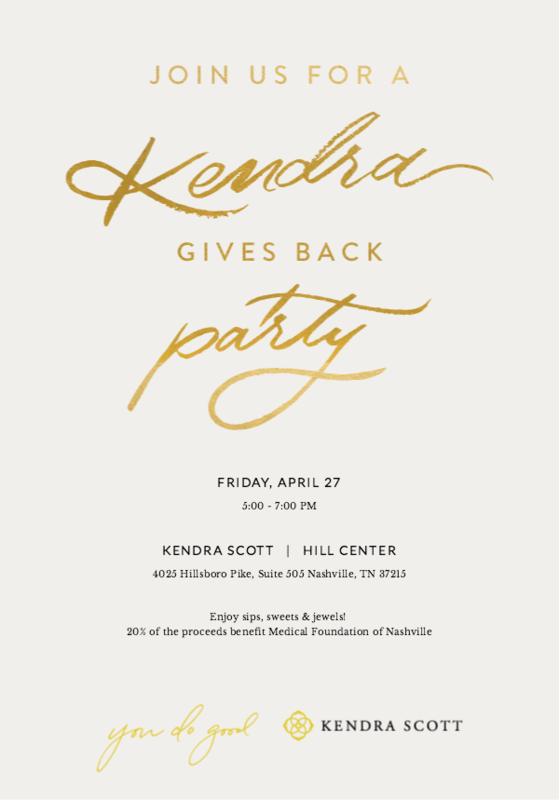 Please join the Nashville Academy of Medicine at a Kendra Scott Gives Back fundraiser event for the Medical Foundation of Nashville! Come shop for gifts at the Kendra Scott store just in time for Mother’s Day, Graduation, or maybe to get a gift for yourself! There will be drinks and treats so it will be perfect to stop by after work. We can’t wait to see you there!! 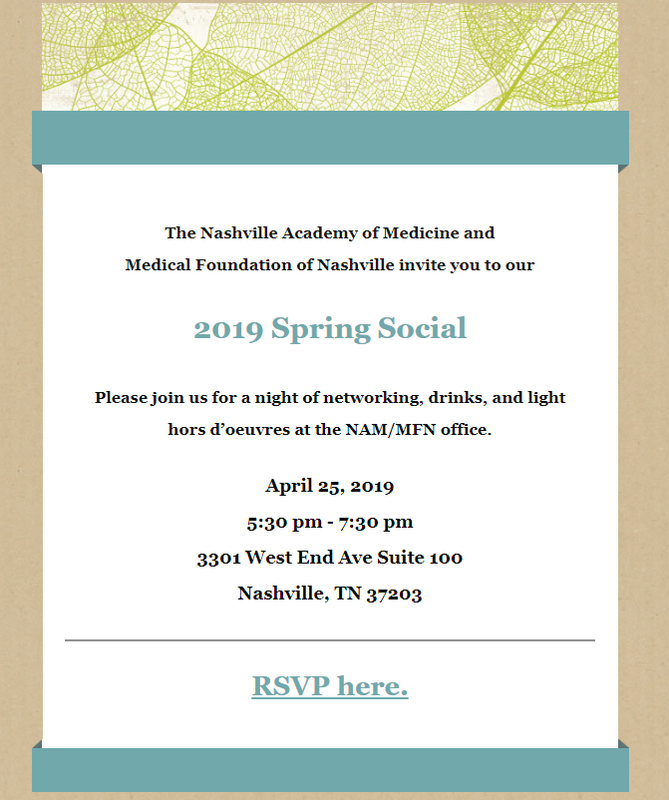 To learn more about the Medical Foundation of Nashville, visit www.nashvillemedicine.org/foundation.